Update (2:36 p.m. Friday): The Arvada Police Department says they identified all the people as well as the dog from the video. They say the public's help is no longer needed. 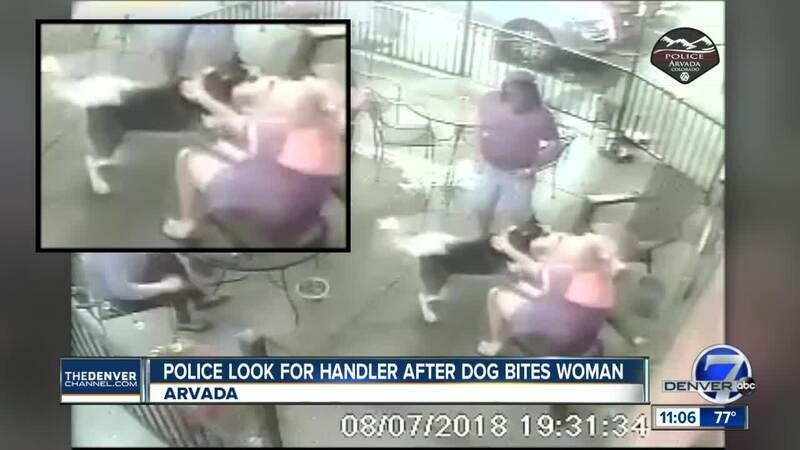 ARVADA, Colo. – Police in Arvada want the public's help to find a dog handler who is seen leaving a restaurant after a dog believed to be hers bit a woman in the face. The attack, caught on surveillance video, happened on August 7 just after 7:30 p.m. at Rockabillies, a popular live music restaurant and bar. 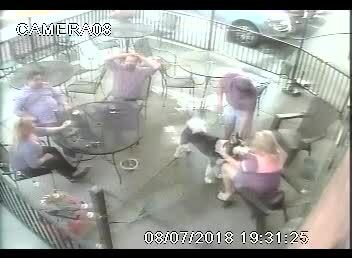 In the surveillance video obtained by Denver7, several people are seen sitting in the patio of the restaurant with a black and white Husky leashed to a fence. At one point, a woman is petting the dog when it bites her in the face. In the video, the owner checks on the woman and then briefly exits the patio, before coming back to grab her things and leaving the restaurant altogether. "We were told it was a foster dog," bar owner Jim Nigg told Denver7 reporter Eric Lupher. "The girl that actually got bit was thinking about adopting the dog. I think she changed her mind," he said. "We don't have her name. We don't have anything. We just want to help the young lady that got bit," said Nigg. The bar owner went on to say the victim was most concerned about the dog having rabies. "No one knows because they don't know if the dog is up to date on shots," he said. The surveillance footage shows the woman's boyfriend and restaurant staff tending to her. Police said she required eye surgery and may need more operations in the future. On Friday morning, Rock-a-billies had posted a sign that reads, "Due to liability of this establishment, no dogs on the patio. Thanks." Police are asking anyone who may recognize the woman and the two men who were at the table with the dog, to contact Animal Management Officer J. Schopeflin at 720-898-6856.